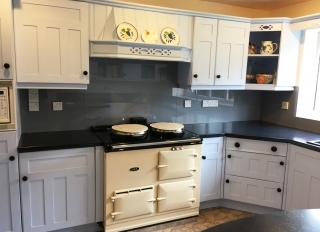 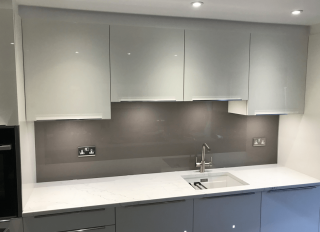 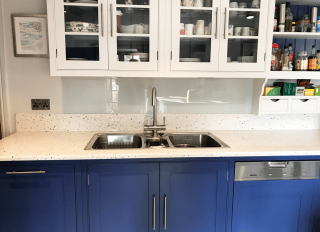 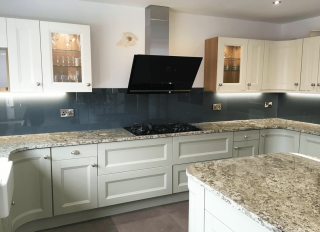 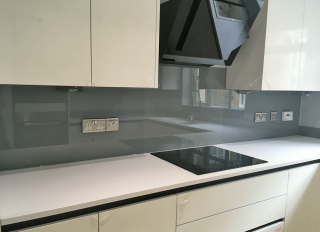 Pebble Grey Toughened Glass Splashback that has been coloured matched to a famous paint brand. 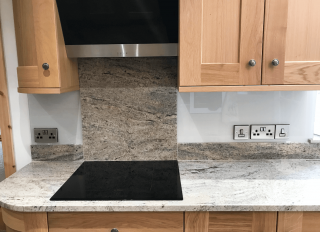 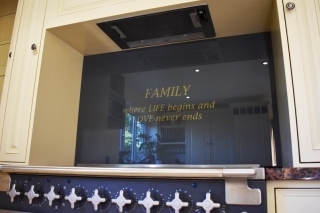 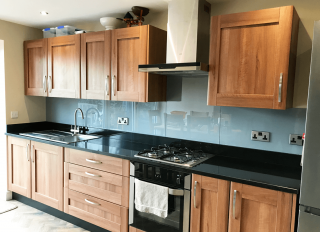 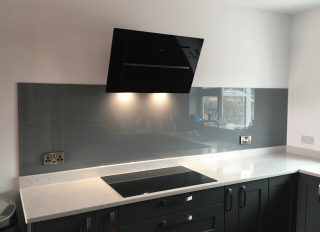 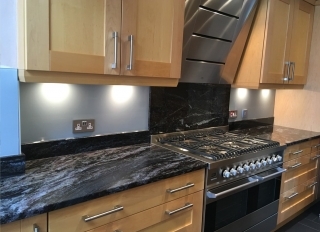 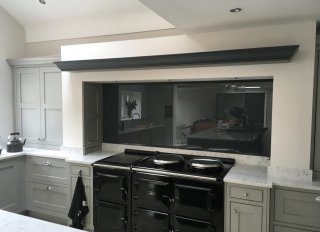 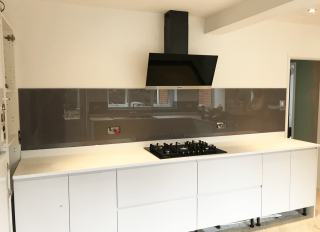 Slate Grey toughened glass splashback that has been matched to a famous paint brand. 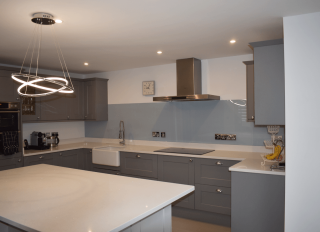 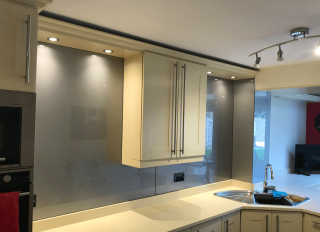 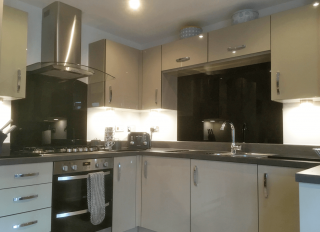 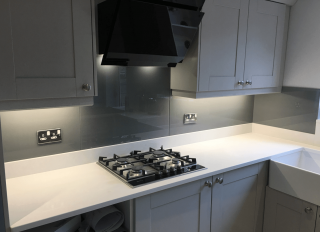 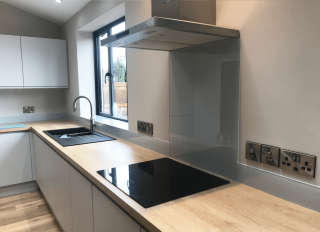 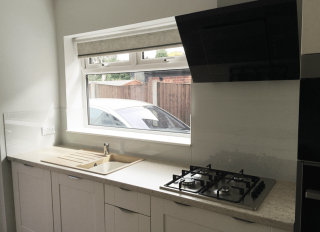 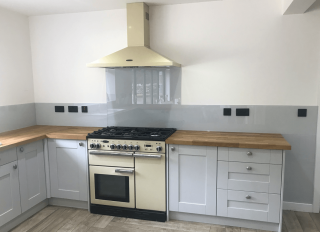 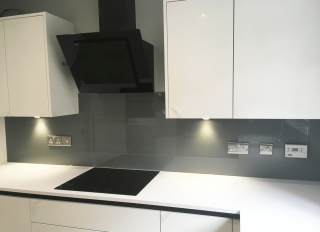 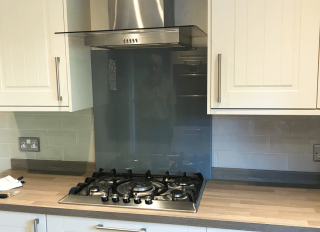 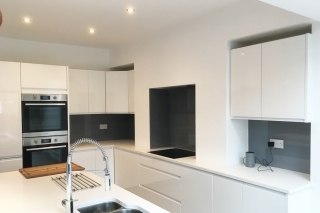 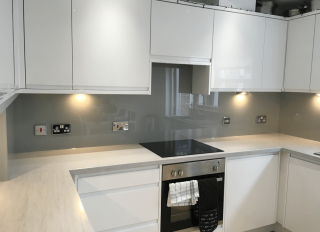 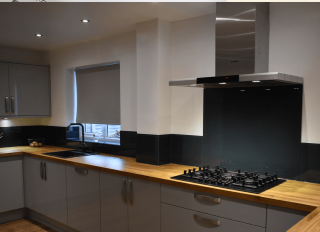 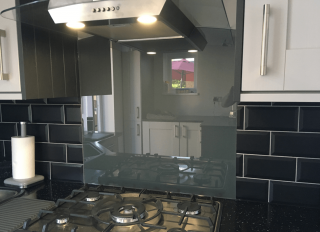 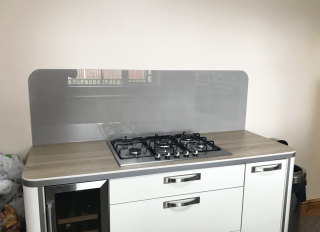 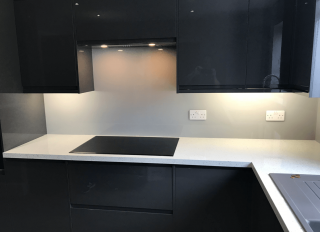 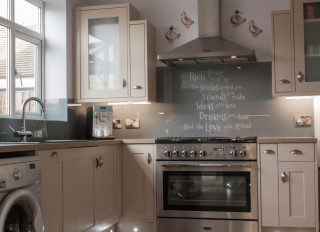 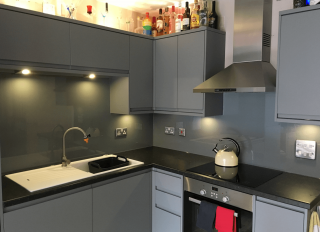 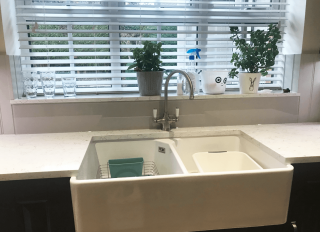 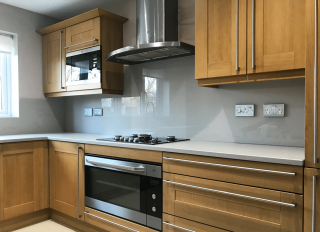 Urban Grey toughened glass splashback that has been colour matched to a famous paint brand. 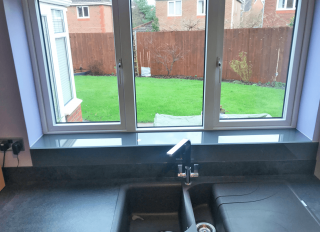 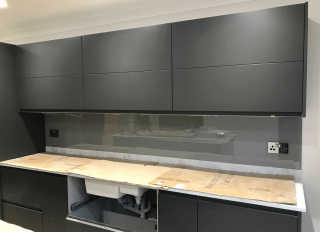 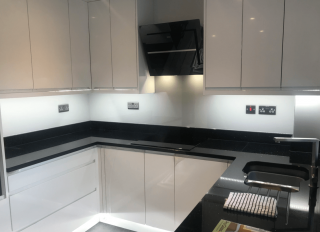 Dark Grey Toughened Glass Splashback that has been colour matched to a famous paint brand.